In case you weren’t aware, it’s been pretty cold this winter. Like, bone-chilling cold. On January 30th, temperatures reached as low as -50 in some parts of the midwest. Ufda. Not only is this cold a threat to give you frostbite in a matter of minutes, but it can also cause real serious damage to your home. One of the possible side-effects of a particularly cold winter on your home is your pipes freezing, which can be a real problem. Today, we’re going to discuss the necessary steps you should take to ensure that your pipes don’t freeze in the winter. If some of your pipes are accessible through a door or are located in a cabinet, it is wise to open the doors up every once in a while to let the rest of the house heat the pipes as well. This strategy will also help the heat in your house spread through the home. If you notice any cracks, holes, or gaps in your home near where your pipes are, make sure that you seal them up tight. You should do this before winter settles in, as it will not only help your pipes stay unfrozen, but you can also eliminate defects in your home’s insulation before the snow starts falling. Hey, if you get to use a blanket during the winter, then so should your pipes! Heating tape is very similar to how an electric blanket works. The heat tape will supply heat to the pipe and counteract any extreme cold weather that may be hitting your home. An alternative is a heating cable, but heat tape works automatically and will turn on and off when it senses that heat is needed. However, keep in mind that these products can be dangerous, so please follow the instructions and safety procedures or work with a professional handyman to assist you. While it is hard to justify leaving the heat on when you’re not home, due to fear of higher utility bills, you can save yourself the headache of dealing with frozen pipes. No, you don’t have to leave the heat as high as you normally have it, but if you’re away on vacation or even a weekend and leave the heat on just a bit, you will reduce the likelihood of your pipes freezing. This is another spring or fall item for your “to do” list. Have a home repairman, handyman or roofer come by and check out your attics and basement insulation to make sure that it is up to par. Especially in older homes, these areas of the house are not typically properly insulated. Adding extra insulation to these areas is a possible quick fix to this problem. Once again, you’d much rather catch this before the chilly weather comes. 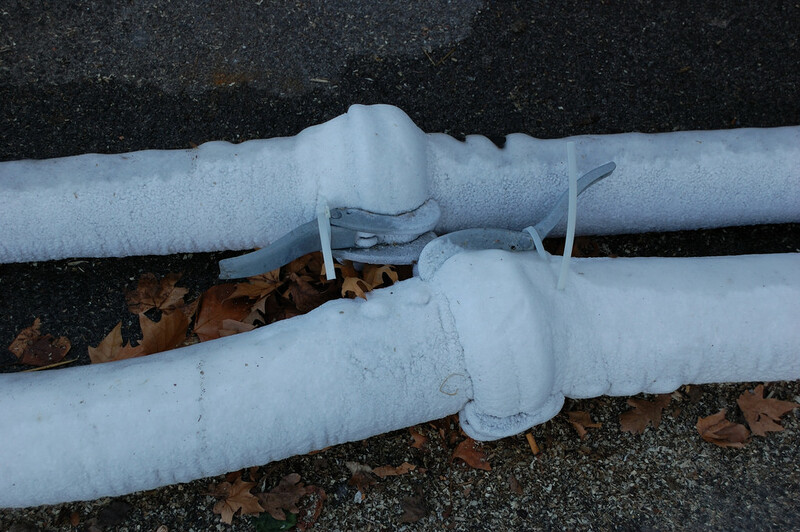 Luckily, it can be easy to fit a pipe with foam rubber sleeves to help decrease the chance they freeze. You may think that letting your faucet drip wouldn’t be beneficial for your home in any way, but you’d be wrong! Surprisingly, allowing your faucet to drip relieves pressure in your piping system. So, if you get a pipe burst, it’s because of the pressure buildup created between the blockage in the pipe and the faucet opening. Eventually, the pressure becomes too much and the pipe will burst. So, while you may be wasting a little bit of water, you can avoid the disaster of a pipe bursting. 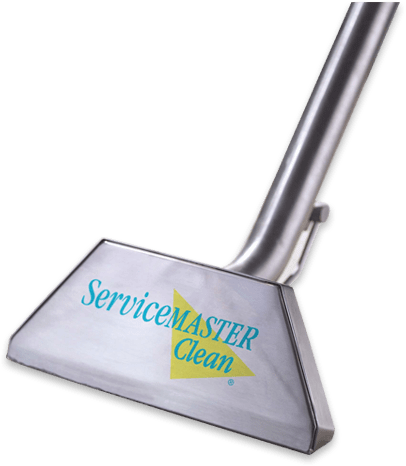 We offer disaster restoration services at ServiceMaster, so if you have sustained water damage that was caused by a frozen pipe that has burst, then call us today at (612) 324-491. Our professional restoration experts have seen it all, and they’ll have your home looking good as new in no time.